Ken's Artisan Pizza is the sister restaurant to Ken's Artisan Bakery, two well-known and loved eateries in the Portland area. I was tasked with designing a website for an existing business whose current site needed a refresh. Keeping much of their current branding and creating a functional and easy-to-use site were top priorities. Both the bakery and pizza restaurant share one overall website and each has all of their information on one page. I felt like the structure could be improved and they would be better represented on their own sites, giving them both more room to breathe. 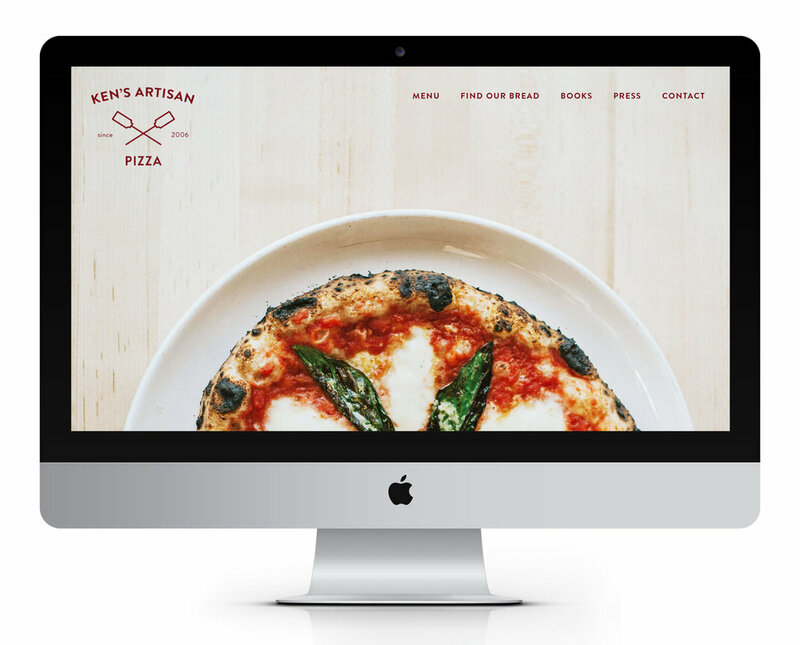 Also, the menu for Ken’s Artisan Pizza is a click-through PDF that was needing a bit of TLC. I kept a majority of the content from the website while sticking to similar branding. I updated the logo slightly and in addition to breathing new life into the website, I redesigned the menus, resulting in a site that maintains the character of the past while becoming more functional and representative of the restaurant.